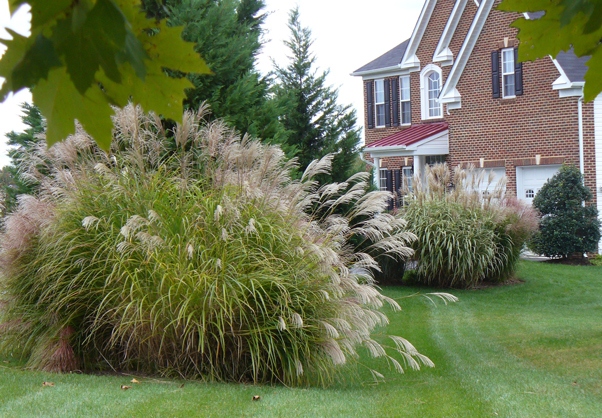 My Ornamental Grasses provide my landscape with a sense of grandeur over Winter. I use them as a barrier, screen and wind break through out most of the year. In the winter they contrast nicely with a denuded Japanese maple and the conical shapes of evergreens. Their large volumes provide interest in an otherwise drab winter setting. 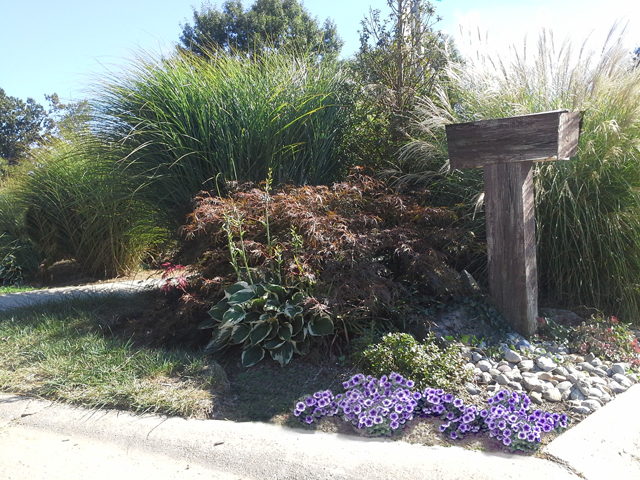 Ornamental grasses take full shape at the end of spring and only turn brown once the first freeze arrives and the grasses go dormant. To often I see people cutting back these beauties at the end of Fall. 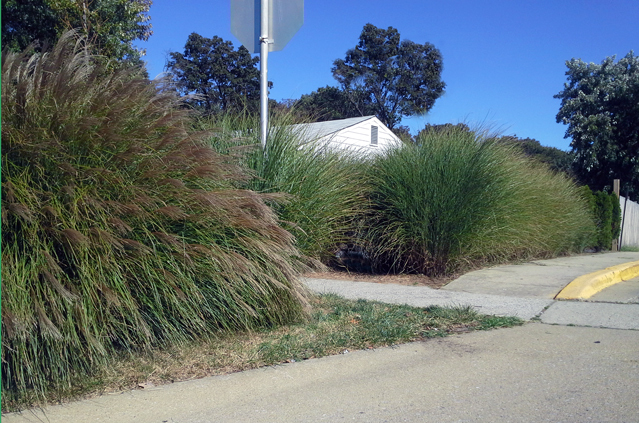 This is a waste as the grasses maintain their form through out Winter and need very little maintenance until Spring. Spring is when the grasses are cut back so that they can begin their new growth and provide the fabulous interest to the landscape. Many a Winter on milder days with the wind gently blowing through the grasses their hypnotic movement and the rustling of their many leaves provide memories of warmer times on quite beaches.